Around this time of the year, many of us, including myself, are preparing to go back to school. Throughout my summer internship in the History of Medicine Division of the National Library of Medicine, I have been delving into Profiles in Science—an online collection of historical manuscripts of twentieth century leaders in the fields of science, medicine, and public health—and adding content to NLM’s Profiles in Science Pinterest page. Although their professional stories are all unique, they all have the same beginning: school. So in honor of the upcoming school year, I thought this would be a good time to take a look at these scientists as they went back to hitting the books. Throughout my exploration of the collection, I was surprised by how much information is available about these famous scientists when they were young. It’s easy to remember the scientists featured in Profiles in Science for their great accomplishments without taking into account the hard work that got them there. Their academic journeys have similar difficulties to the ones that students face today. 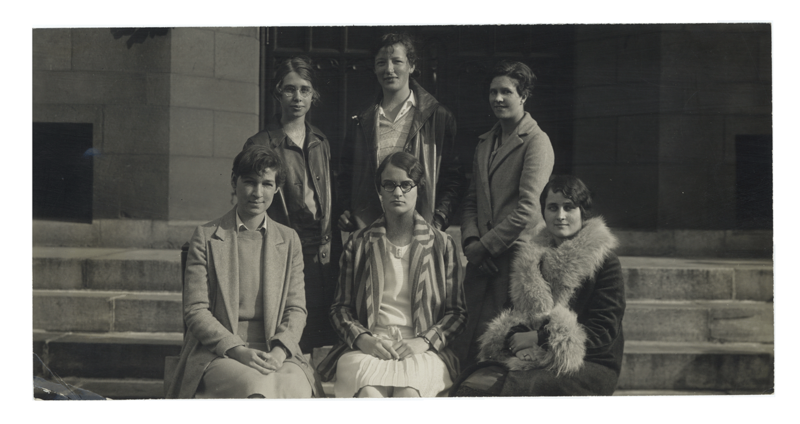 Virginia Apgar (front left) with other members of the orchestra at Mount Holyoke College, ca. 1928. On a new Pinterest board I’ve created called “School Days,” there are pictures of the physician Virginia Apgar (best known for the Apgar Score) from her time on the Mount Holyoke College orchestra, Nobel Prize winner Christian Anfinsen on his college football team, former NIH Director Donald Fredrickson running for class president, and pioneering cardiologist Edward Freis acting in a high school play. They are all at the same point in their lives that I am in now: ready to embark on the next level of their educational journeys. It’s exciting to realize that I am in the same place in life as these famous minds! The stories of the scientists offer a unique perspective into what it means to be in school. 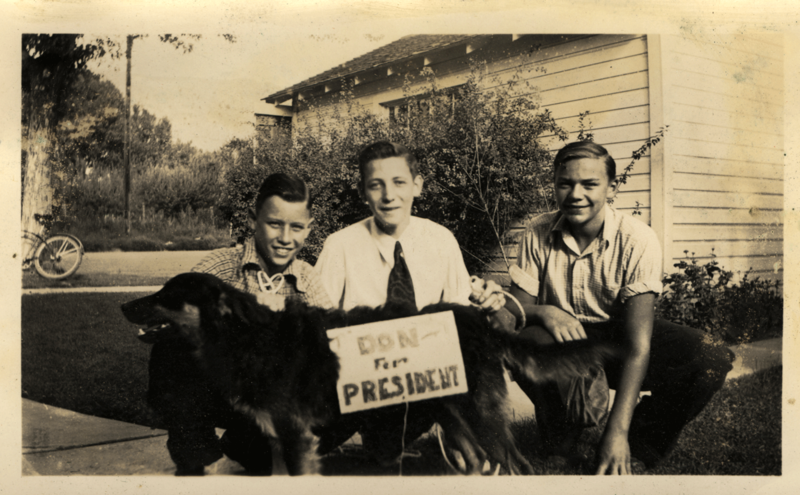 Donald Fredrickson campaigning for class president, ca. 1939. The collection documents many points at which the scientists may have wanted to give up, but in order to achieve their goal, they persevered. These scientists were constantly faced with people who tested their resolve to reach their goals. Take Michael Heidelberger, for example. When he graduated with his Ph.D., Heidelberger went looking for work with his former family physician. When he inquired about the job, the doctor encouraged him not to go into science because “science is no profession for a poor man’s son.” Heidelberger—who would go on to win a Lasker Award for his contributions in developing “the precise measuring tool of immunochemistry”—had to convince the doctor to help him to pursue his dream of being a chemist. 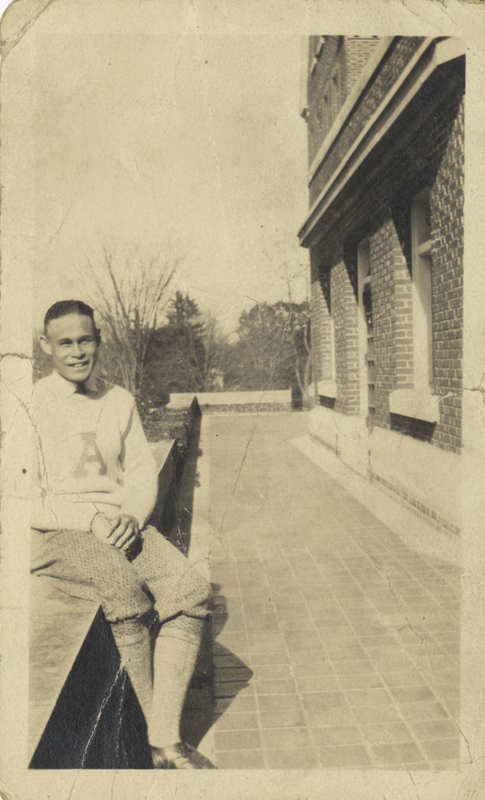 Charles Drew as student at Amherst College, ca. 1924. Throughout their tribulations, they all carried on. So remember as the year gets tedious, or when you need encouragement to carry on to the next step, that the payoff is coming down the road. Just like the scientists featured in Profiles in Science, we are preparing to achieve our future goals by going back to school. Even if your goal is undetermined, you will be one step closer by putting your best foot forward now. We invite you to learn more about the educational paths of these leading innovators in science, medicine, and health on NLM’s Profiles in Science. Courtney Jefferies is a sophomore at Bowdoin College in Brunswick, Maine where she is studying Psychology and Romance Languages. She was a Pathways Intern at the National Library of Medicine during summer of 2014. So that is Virginia Apgar. I used that assessment many times on all new borns in our local hospital.